In the time since, Simmons made retribution his mission. He’s become more involved in the company over the past half year. He offered free service to RushCard holders for five months, which sacrificed much of the company’s profits. Earlier this month, a settlement was reached between RushCard users who sustained damages incurred during the service outage. What was initially reported to be a $2 to $3 million settlement, turned into $20.5 million. UniRush plans to pay $100 to $500 per claim, plus an additional $1.5 million in legal fees. While the number may seem staggering, Simmons is happy to make amends. Simmons spends significant portions of this conversation explaining his intent to create a new credit agency that would allow people who rent for a significant period of time to be able to build a solid credit history as well as future innovations he plans to bring to the prepaid space. There’s also an eye opening moment when he reveals that 60% to 70% of new RushCard users are millennials, a drastic detour from the perception that prepaid cards are for aging single mothers. Though UniRush remains under investigation by the Consumer Financial Protection Bureau, the storm clouds hovering over RushCard have finally broken. HipHopDX: How do you feel about the settlement? 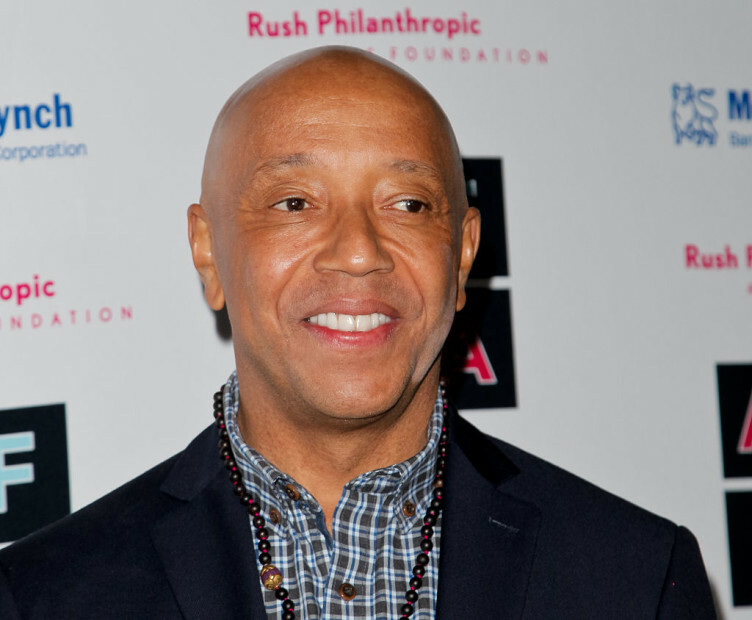 Russell Simmons: I’m glad that we reached a settlement. I knew that we would. I was forced to stop some of the conversations with some of our clients because there were a lot of reasons why I couldn’t just reach out to people with complaints, and then check their record and see what their problem was then try to solve it. I had to do the math, then I had to solve the lawsuit. So we did and the gross number is $20 million. We invented this industry. They should stop calling me a celebrity company. I didn’t brand the company. I invented the entire form of banking. All of what American Express is doing, all of what Green Dot is doing, all of what Netspend is doing, all of what Chase Manhattan is doing—we did first. We invented an industry for underserved community members. We’re not a credit card. We’re a virtual bank. For people saying [negative things] about our service, as part of the competitive service with all the people who joined our industry, the Consumer’s Union—which you know is not something you can pay for—[ranked RushCard] one of their top five companies. Ratings are kind of funny because one may be $5.95 and someone else is $4.95, but that $4.95 may charge an [additional] dollar for customer service or charge [additional] money to replace your card. There are lots of variables that have to do with price. There are also lots of variables in what you want your card to do for you. Some people may want card-to-card service and it’s 99 cents. Some people have two day advance. When we went to Green Dot, who was our partner at retail for a short time, they had no idea that there was a way to create two day early deposits. They had no idea. We taught them how to do it. At the same time, we borrowed ideas from everybody. We didn’t invent everything. We just invented the business. Anything that anybody comes up with that’s useful to our customer, we try to add. Our innovation pretty much stopped over the last six months, but this experience encouraged me to do more innovation. One thing I’ve been fighting for and have been at the forefront of is credit—building credit for past due services. You pay rent every month for eight years on a RushCard, why can’t you get a mortgage? I think that’s a travesty. I think a lot of the big companies like Mastercard, the Visas, the others that do the processing and infrastructure work—a lot of us could come together and force them to accept this information on credit reports—the FICOs of the world. Or we should build one. Now I’m committed to building [a credit agency] if I can’t get a change in the next couple of months. I have to build a credit reporting agency that people who have consistent and strong ties to, whoever their partners are, build credit as a result of it. Whether it’s rent or paying a past due phone bill or just consistently being on-time and paying it, it should build credit. This industry has been overlooked by anybody because it’s not a big pay. I said Chase Manhattan earlier, they went out of business. They did something really interesting. They gave away free access to 25,000 ATMs at their Chase locations. We were like ”Wow, how much is that going to cost us?” And we did it. We now have 25,000 free ATMs. It was something that we had to do because we wanted to remain competitive, but we saw a way to negotiate a deal, to pay it out, and we did. I try to do the best I can with my company. I also realize there’s lots of innovations that no one is doing that I have to either do or do with my new partner. I have to make my new partners step up their innovations or I have to do it myself because the industry itself doesn’t care so much. It’s a sidebar for Chase Manhattan, American Express, to everyone except Green Dot and Netspend, who are our real competitors and real inspirations in some cases. When they say it’s a bad service and a “mishap”—the mishap certainly didn’t happen alone. They’re acting as if the “Hip Hop mogul” created a card for the underserved; that the “Hip Hop mogul cut off the service to 132,000 customers.” That’s the correct number. I’ve taken a lot of bricks for a lot of would be partners. I don’t need to name those partners because I hope that those partners will become real partners in the change and the kind of innovation and the kind of support system that I want to give to these underserved community members. I also believe that this card is not for the underserved community only. My CEO has two cards. One card he gets his early direct deposit on. He only gets half of his check early direct deposit, which is weird. I said, “Why do you do that?” He said “I only need half my cash and the rest I put away.” He’s making a lot of money. There’s a lot of uses of this card that are not being exploited or promoted or built out. I also believe in the RushCard business card, which is being done right now. As a kid, I had my American Express and all my regionals were on my card. There’s no reason why small businesses can’t use a Rush Business Card. We just added a feature just now where if you lose your card, you can turn your card off instantly through an app. Then you can turn it back on. I can’t talk about all of what’s coming. We have a road map for creative add-ons and innovations that the industry is not focused on because for the most part it’s an afterthought. I don’t mind paying the $20 million. I don’t mind that that was our cost. I am going to spend a lot more money than that in the community, in my peacekeeping programs, in RUSH and art education. We’re gonna be in the community in a way that we’ve never been. We’ve always done these kinds of things. It’s our commitment. Our company, as you can imagine, is not so liquid. We gave away free service for four or five months. We had employees we had to pay. But as the settlement is closing, we intend to spend a lot more money on, as my board would say, “endearing ourselves to the community.” I would say community service. I’m a philanthropist. This company was not built for profit in the beginning. We tried to get ACORN and others to help us facilitate this for people who needed them. I didn’t think it would become a business. It became a business. No one has to believe that but I do go to work everyday to try to improve this service. It’s not as these guys say, a flawed service. It’s not a “Hip Hop mogul” operating in the financial service business in isolation. The biggest financial institutions in the world are my partners in this particular service. Nothing happens with me alone. I think a lot of times in our community we say, “let me go to the big guy.” They’re not trusted. It was the little guy who created it and it’s the little guy that’s gonna improve it. The little guy invested in things that no one else would have ever invested: in our communities. We do have a larger percentage of our customers that are people of color—close to 50%. Everybody, even though it shouldn’t be that way, pretty much anybody can use the card for a lot of reasons. I use my card mostly to just go to ATMs—especially free ATMs. Anybody can use it for a lot of reasons. Everybody has their credit cards, they all do the same thing. This has services those don’t have. It could have a lot more services that the other credit cards don’t have. Whether it was check capturing that was created by Chase that we borrowed, or it was 25,000 free ATMs that was created by Chase, they didn’t see enough margin or reason to continue so they killed that business. So there’s not a lot of margin and I keep saying that. I addressed the fees—$5.95 unlimited usage compared to most people’s bank accounts. (I mean, most people with the same level of income as us as well, not just most people.) The bank accounts in most every case are more expensive. The millennials that are coming up now are distrustful of banks will find that our virtual banking system is the banking system of the future. Obviously it’s all going to be on a phone in a minute. You may not carry a piece of plastic again, but this is the wave of the future and I’m invested in it. I helped create it. I didn’t just brand it with my name. DX: Initially the settlement was estimated to be $2 to $3 million. Russell Simmons: That was my CEO who felt he was negotiating with somebody. I was very disturbed by that statement in the beginning. I said $10 to $20 million to The New York Times and they quoted $2 to $3 million from my CEO. I put aside $25 million. That was never the problem in my mind. I do like the idea of investing many millions more back into community programs that matter, which I feel like it’s not a settlement, but me wanting to be a good service provided for the community that cares about the community. DX: Any word on whether the processor will cover any of the costs of the settlement? I believe it’s Mastercard in this case. Russell Simmons: I can’t discuss that. We’re involved with a lot of multibillion dollar companies who are our partners in various different forms. I don’t want to point the finger at anybody. I decided to take the whole brick on the head. I’m the only person taking the brick no matter who else is involved. I prepare to leave it where it is. I don’t want to blame anybody. I’m going to take the blame. All of my partners are going to help me develop the creative, or do innovation that will make this card more of a worldwide virtual bank than its perceived card for the underserved. We know it does so much more. This card should be for affluent people as well as underserved community members and it should be the wave of the future for millennials. This is the bank for millennials, for the future. I haven’t started doing the branding, but the growth rate for our company is 70% millennials, when it used to be single mothers. Our main target was single mothers because they were the ones that ran the family and managed the funds. Millennials who don’t like banks are coming in our direction and we haven’t even begun the branding exercise to speak to them. All of our new customers are millennials—60 to 70%. DX: That’s an extraordinary percentage. How long have you been conducting that research? Russell Simmons: We’ve always had it, but it took me to really start to dig into the detail of everything in this company. I hired a lot of people. I always believe in my companies as they start to flourish that the people that run them are smarter than me. That $2 to $3 million number? Why would that go in the press? So I started questioning everything. Not my CEO. He’s a great guy. In some cases, I may be smarter than them when it comes to my community and where we should invest and brand. I am smarter when it comes to where we can help this community with our company. DX: The Consumer Financial Protection Bureau is investigating the outage and how it happened. At one point UniRush asked for more time to present documentation. There was a report that the CFPB denied that request. What’s the status of the investigation? Russell Simmons: I think the investigation was something I welcomed from the beginning. They asked for so many documents in such a short amount of time. They always get worried because the lawyers that work at the company are always concerned with what might offend regulators. They asked for so much at one time while we’re in the middle of trying to solve a crisis; in the middle of trying to update our systems. I’m assuming that that’s going smoothly. I’m excited for them to come out with whatever their results are. The more that they want to make public is better for me. What they don’t make public is better for my partners. I’m totally transparent and whatever information that they wanted is available. It’s just a question of how quickly can you gather all of those documents and give them specifically all the answers to the questions they wanted. In my estimation, it seemed unreasonable at the time to be able to deliver what they wanted as quickly as they needed it. I think it’s fine now. I think they probably ended up being satisfied with the amount of documents they received or are still receiving. We’re totally transparent. I want everything to come out and I want to go back to the Consumer’s Union and I want my gold star back. They’re uncompromisingly truthful. They’re not the FDA. They’re not someone that you can buy. When they give you a rating, it’s a lot different from some person from some publication that hasn’t really studied the marketplace. They don’t speak unless they’ve studied the marketplace. That gold star that we had, I want it back and I want to square in on #1 in the industry. Being #3 or whatever we were pre-disaster, it was good. It’s even hard to say what’s #3 and what’s #1 because of the services you want and how you use your card will determine which card is more valuable to you. I invented a financial service industry, along with my partner David Rosenberg. We did it first. When you look back later and it becomes the best tool for consumers, and it is for many people now, but when it becomes this real thing, I can look back and say I created that. I put that up next to some accomplishment that is worthy like getting people out of jail. That’s an accomplishment. Not that I’m looking for that credit at this time, but I don’t like the “Look at what he’s doing to the community” rap when everyone who has my card knows that I’m not doing anything to them but serving them. People say, “His credit card charges higher interest.” I read that online. I endorsed Hillary Clinton because to me it’s not about personality. It’s about policy and who can get it done. I’ve known her and watched her relationships. I took her to a Black Caucus dinner years ago. I didn’t endorse her then. I endorsed Obama. I met Obama a few times but I really met him again through her at the Black Caucus dinner. I watched her over the years. I gave her first fundraiser. The point is, they say I endorsed her because I’m in the banking industry and I get a break because she’ll protect the industry. I get so much flack for building what I think is a very important service to the communities but I built it with an honest heart and it’s still a good service. I’ve had to accept a lot of criticism from unsophisticated people about what I do. Some of them have just framed it as if this card was exploitative. Originally it was for people who couldn’t get bank accounts. One day we found out it was cheaper than bank accounts for lots of people. I’m proud of it. I want to make it better. I want to invest more into the community. The settlement is fine. I put aside more than that. I’m gonna spend more than that in my communities. DX: One thing I found really interesting was the statement from the class action lawyer John Yachunis. He said, “The defendants could have raised the arbitration clause in response to the complaint, but decided instead to address the claims of the class through a very meaningful and abundantly fair and just settlement.” You don’t usually hear lawyers speak that way about the defendant. They seem really happy about the settlement. I think that speaks to your broader care for the community. Russell Simmons: Thank you for saying that. I never wanted to short change the community. I wanted to make sure I could do as much as I could for them. I wanted to go on a tour also, and once we’re in a position to do so, I want to visit peacekeeper programs in the community and I want to do more work to support the growth of those programs. I want to really make the nonviolence programs a centerpiece of our investment in the communities. Even in New York, I looked at I Love My Life. Getting any money out of the city is like pulling teeth. I’ve lobbied for them. I’ve supported their efforts so they can run their I Love My Life programs. All of them need funding, and none of them really get support from the city government. There’s still so much that could be done and so many people that are doing good work that should be funded and we’re trying to help a lot of programs. We’ve already doubled this year what we did last year. DX: How do you view Bitcoin or Blockchain? Do you think they will be adopted by the larger public? Russell Simmons: I don’t know much about them except for what I saw in the movie Dope. I understand my business. I understand what my competitors are doing in my space. I don’t know much about Bitcoin. I can’t comment.